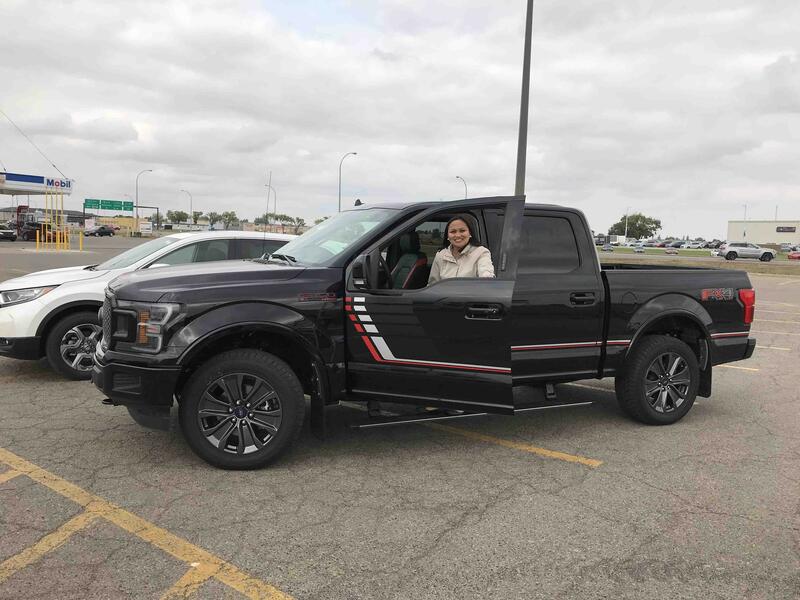 On August 25, 2018, the Royal Auto Group and Habitat for Humanity Yorkton collaborated for a test drive event. This test drive event was created to raise money for Habitat for Humanity Yorkton. For every test drive that took place the Royal Auto Group donated $10 to Habitat for Humanity Yorkton. 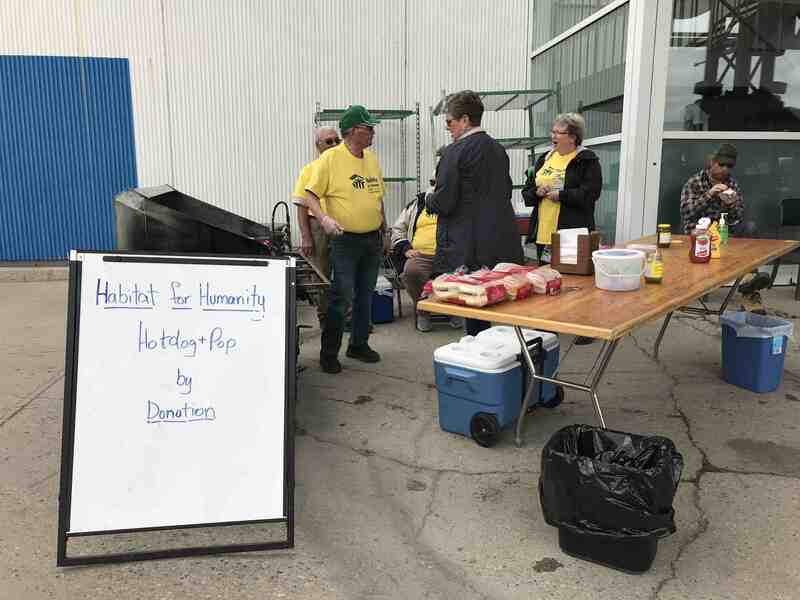 Habitat for Humanity also had a barbeque set up to raise additional funds. We would like to thank GX94 for lending us the barbeque. The Royal Drive 4 Habitat took place at the local Superstore. Bill, general manager, was generous in offering us a place to host the event! The day started off with the set-up. We made sure we had everything ready for the event before we headed over to Superstore. A few extra people from the Royal Ford and Honda team even pitched in to give us a hand to ensure we had everything ready in time. We had selected three vehicles from both Honda and Ford to test drive. From Honda we brought the 2018 Honda CR-V EX-L, 2018 Honda Civic LX Sedan, and 2018 Honda Ridgeline Black Edition. These vehicles have all won numerous awards. The CR-V has been Motor Trend’s best SUV of the year for three years in a row. Other competitors for that award were higher end models like BMW and even Porsche! The 2018 Honda Civic has been Canada’s top selling car for twenty consecutive years, and the newly designed Ridgeline has won the North American Truck of the year award in 2017. 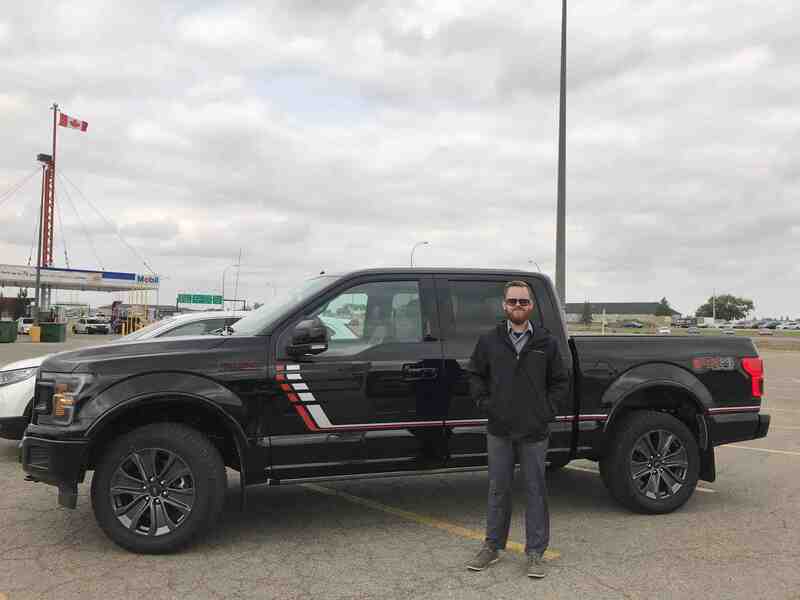 From the Ford lineup we brought North America’s number one selling truck for fifty-three years, the F-150 Lariat Sport and a 2018 Ford Edge Titanium. The Ford Edge Titanium has won awards for Best Car for the Money and Best Car for Families. Of course, we also had to bring a Ford Escape which has been Canada’s top selling SUV for the past three consecutive years. Everything was set up and in place at 10 AM, and sure enough just after completing the setup, we had drivers lining up to test drive vehicles! Luckily, we had volunteers from Habitat for Humanity Yorkton to help us with having drivers sign up and cooking and serving food We had been driving past noon, and it did not look like it was going to slow down. That was a good sign for us since the more drives we went on, the more money was raised for a great cause! The barbeque was also a busy place, and shoppers got to grab a bite to eat on the way out! All this fundraising goes towards building homes for people who cannot normally afford to get a place on their own or with their family. The Habitat for Humanity Yorkton group has built seven homes in the past seven years. That is one home every year for seven years! This is so incredible! It was great to see the community get involved. Knowing that people are coming out to support Habitat for Humanity Yorkton shows just how much supporting your local community means to Yorkton and the surrounding area. At the end of the day we had 51 people test drive our vehicles and a significant amount of donations was made at the barbeque. This event was a tremendous success, and we will be doing it again next year. Make sure to check our social media pages to see when the event will take place in 2019.